As an architect or urban designer, how do you represent “smart city” technology? 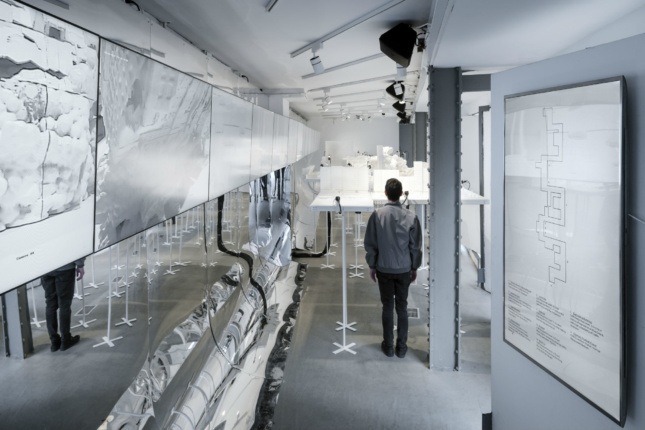 Something that deals with environmental conditions, government bureaucracies, and endless data streams as well as public space, human movement, and architecture? Governments and businesses are rushing to develop and implement these technologies, making this a pressing challenge for any designer seeking to represent contemporary cities. 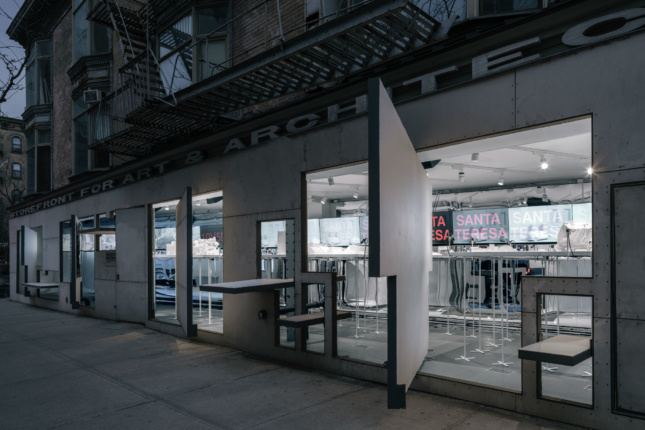 Control Syntax Rio at the Storefront for Art and Architecture offers its own evocative approach by avoiding the all-too-familiar format of wall-mounted photos, diagrams, and timelines. 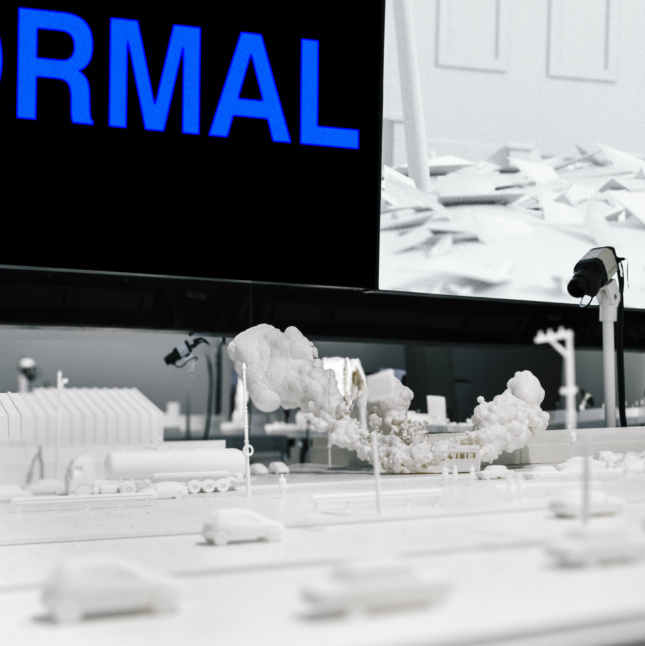 Instead, Control Syntax Rio uses an enormous streetscape model whose detailed tableaus—animated by sound effects, film, and vibrations—immerse visitors in a complex and unique piece of smart city command-and-control infrastructure in Rio de Janeiro. 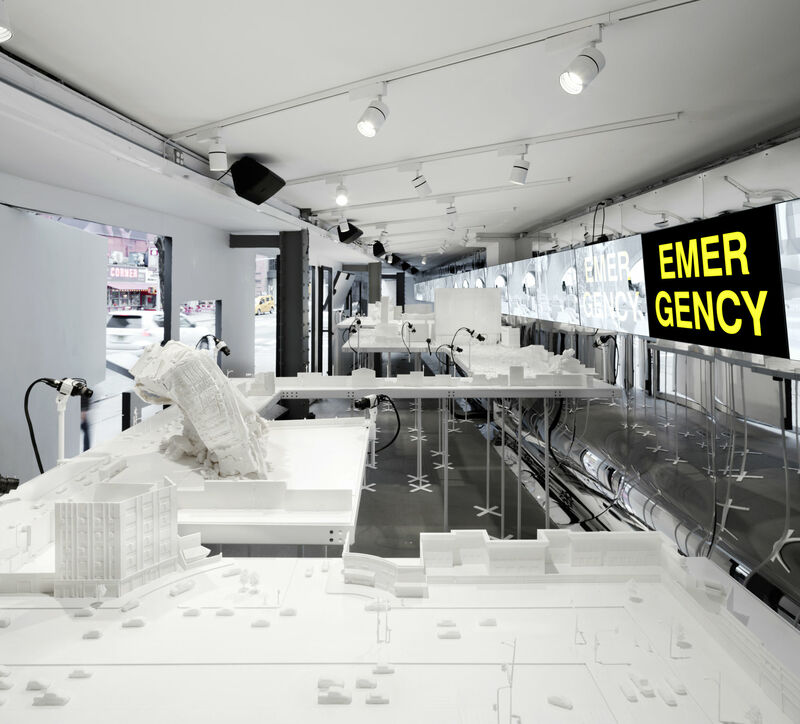 At the heart of the COR are a series of “if, then” statements—an algorithm that originated from IBM—that govern how the city responds to escalating levels of crises. The system first detects and categorizes a disruption (which range from quotidian “incident” and “event” to “emergency” and “crisis”) then coordinates a response. Along this spectrum falls everything from traffic jams and peaceful gatherings to police actions, earthquakes, and landslides. Complicating Farzin and Wasiuta’s task was that this system isn’t hidden from the public eye: in addition to serving as a management device, the COR is a public relations tool aimed at Rio’s residents and the IOC. The COR is how this smart city “sees itself, how it portrays that image of ongoing information extraction and control, how it portrays that image back to its residents and an international audience…. A representation producing device and mechanism for the city,” said Wasiuta. Farzin and Wasiuta grappled with how to represent the COR in its dual functions. 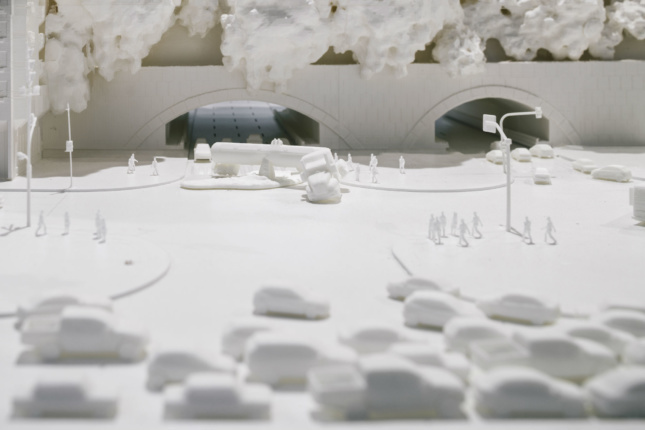 To tackle both challenges, Farzin said they created two intertwined “paths” to follow in the exhibition’s model. One is physical: a single street leads the visitor through a series of events, emergencies, etc., that are frozen in time. Placed at eye-level (some may have to go on their tippy-toes), the model immerses you in each scene. 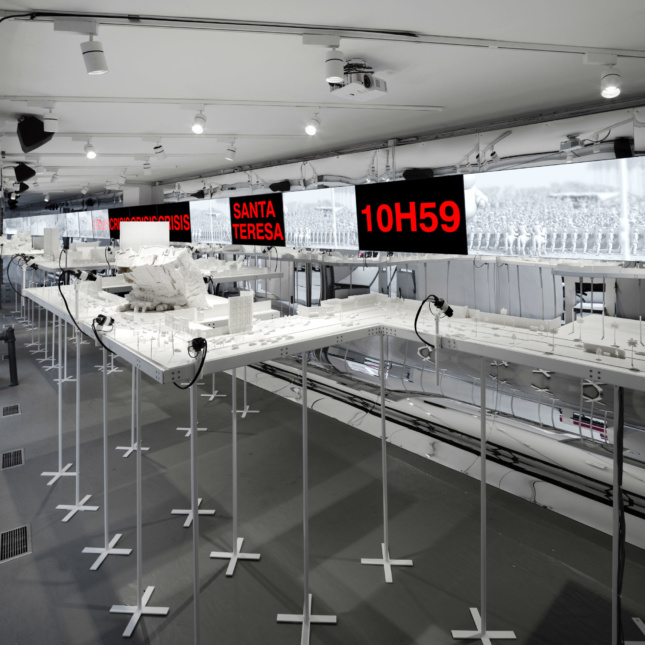 Opposite the model is twenty monitors that depict the second “path,” the algorithm itself. Half the monitors show a live feed streamed by small surveillance cameras trained on the model. Control Syntax Rio runs from March 28th to May 20th, 2017 at the Storefront for Art and Architecture (97 Kenmare St, New York, NY). It was originally commissioned by the Rotterdam-based organization Het Nieuwe Instituut, where it was on view from June 2016 to January 2017.